A friend and I were talking about an emotional issue that had come up again, after she thought she’d fully healed from it. Facing a similar emotional issue traumatized her all over again. Had she checked in and used her intuition she might have known that there were still aspects of this issue that she hadn’t yet dealt with. She couldn’t eat, couldn’t sleep, couldn’t stop crying and could barely function at work.She said she felt completely numb on the inside. I can understand what she’s going through. It happened to me in the past and it’s awful. The emotion of fear over what you’re facing completely paralyzes your life. Fear is the underlying emotion found in all traumatic incidents. Think about it. It’s not so much the ‘situation’ your dealing with it’s the emotion of fear, right? I went through this when I had to defend myself against a false charge of running a red light. By the way, it was after this incident that I realized I had to stop ignoring and begin using to my intuition which had been steering me away from the profession I was in for some time. Eighteen years ago this month I went to court and won my case – thank goodness. Three months later I decided to leave that profession and my life took off. Things got better and better and better. It was only when I panicked about money and returned to the refuge of a similar career to make a quick buck that my success began to deteriorate. At first, I ignored the signs – again! Big mistake. But after a while things began happening to me that I recognized were truly signs. This time I decided to act on the signs I was sent telling me it was time to move on, instead of wait until another catastrophe occurred like the car accident eighteen years ago. All pain and struggle is the result of resistance. You’ve heard this many times I’m sure. When we refuse to learn and grow by digging our heels in or sticking our head in the sand the Universe must get our attention somehow. That “somehow” is pain-pure and simple. When you touch a hot stove you pay attention, right? The same principle applies here. The signs to get our attention will start off small and then get more severe with time the longer we ignore the message. That’s what happened to me with my car accident. So how do you heal an emotional issue? When you learn to use your intuition and recognize it as the direct line to Greater Intelligence that it is; you can and will heal these emotional hot spots one by one. The key is to stop resisting both that your intuition is there to protect and lead you to your greater good and, that it is an open channel to the same wisdom that created the Universe and all life. All that is required is your willingness to let this power guide you—and it will. What emotional issues can intuition be applied to? Anytime an emotional issue surfaces that paralyzes us with fear, it means we have not mastered the lesson in that situation. It could be fear of how we will survive without another person, fear of not being able to provide for our family, dealing with authority figures, dealing with the consequences of our actions, fear not being loved, fear of being exposed, fear of public scrutiny…I could go on and on and it could be anything. If there was ever a time in your life you were so traumatized that you didn’t want to wake up the next day you will know exactly what I mean. 1. Learn to meditate and quiet your mind. Do this daily. Becoming calm so that you hear your intuitive guidance is the key to heading off disasters. If you tap into your intuition daily you’ll hear the early warning bells. 2. Journal often. When things upset you write about them. You may discover after a few months that there is a common theme running through all of these episodes. This is a key to what area of self-development you still need to work on. 4. Have your natal chart done by a good astrologer. Make sure to look closely at the Moon’s nodes. Usually the South Node, by house placement and sign, contains the lessons we’ve mastered in our previous incarnations and the North Node what we still need to learn. 5. Make a list of the 5 most upsetting things that you ever had to deal with in your life. Set aside some time when you won’t be disturbed and go through each of those incidents one by one. Really strive to remember all the details and what you were feeling at the time. See if any “sore spots” remain. Areas where you still “flinch” when thinking about the details are a good clue. These spots are still tender because you haven’t dealt with them yet. You might have to seek a qualified counselor for help. Some things are just too big for us to deal with without professional help. The point is you must deal with it now so it doesn’t need to explode like a volcano to get your attention. Only when we get these lessons out in the open and in the “light,” will we find what we still need to learn in order to move toward becoming whole. When an issue crops up again be grateful. Face it and learn the lesson it is delivering. Know that with each lesson you master you are that much closer to returning to an awareness of your true nature of wholeness and perfection. What areas of your life are still tender? Is there something you’d rather not deal with? What might result from ignoring this issue? If you enjoyed this article please share it on Facebook, Twitter and Google+1. Thank you! P.S. 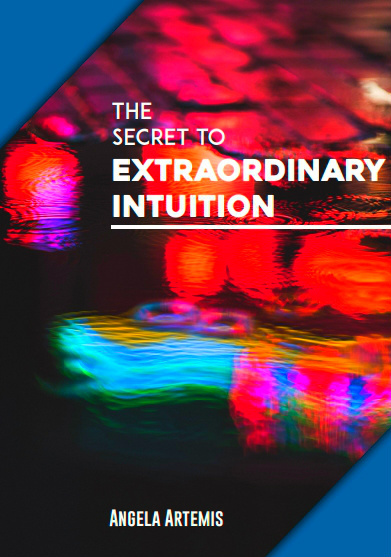 If you’re new here please do subscribe to the PbI Newsletter to be sure you get all the updates, special offers and surprise gifts and my free book: The Intuition Primer. Do we choose psychic work or does it choose us? I’d like to cast my vote for Chiron also in a natal chart. The north nodes matter where trauma is concerned, but Chiron usually to me seems to be the greatest sticking point for most folks by the nature of the wound being–dare I say it? Chironic. They should both be looked at for lessons that need learning or healing. Absolutely – my bad! 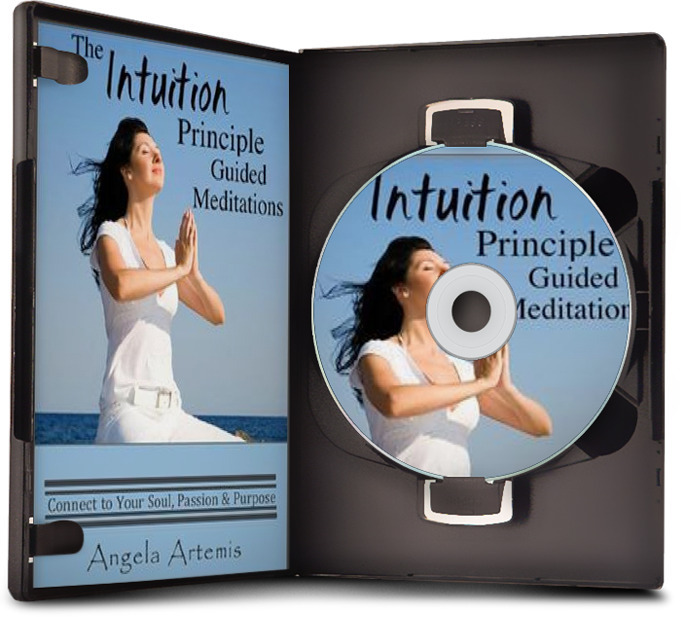 This post provided greater progression from one of your earlier one on how to exercise our intuition muscle. Since that last post, I have since put in my little bit of practice. 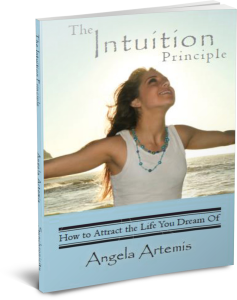 Now I see where you are driving the lessons for to use intuition to solve our emotional problems. Learning these five habits to sharpen our intuition is great advise. I have not been practicing regularly. A bit of meditation, little journaling. I need to find someone to be that compass though. Searching into the past is always a great way to unroot our deepest troubles. I must confess that I have not done enough of that. That is partly because of the conflicting messages I get whenever I tried. Anyway, no excuses. I do feel that searching into the past for our victories is also another way to help balance the negative effects of emotional problems. You make a great point here. I think we should always balance any work we do on ourselves that brings up the negatives in our lives with then looking for our “victories” as you point out. Wonderful! Yes, if we only look at the dark places and don’t reward ourselves for what we did right we could end up quite depressed. Thank you so much for bringing up this very valid point. I always enjoy your visits here very much. Great post Angela. I can’t stand the “lag” time in between a perceived threatening event like a court date. It gives the mind too much time to stress and worry. I remember reading that post a while back about your running the red light incident. I read in another post that the feeling of resistance is like when those drag racing cars emit a parachute after the race is over to slow down the car. Yes, it’s that lag time when you just want to come to an end that really eats away at you. I did write about this before. I think it was one of those life changing moments for me. I like that metaphor of the drag race parachute creating the resistance. Great image! Thanks so much for coming by. It’s great to see you. Great post Angela! We had someone (and a neighbor at that) attack our family (verbally) and our oldest son with lies. It was very difficult to deal with. And the worst part was the physical reaction I had anytime she was near. It was a very hard time for everyone. About 5 years after it happened, our son was the one who actually made up with the neighbor’s son. This made it a little easier to forgive. And I’ve had an easier time if we happen to be in the same place. I think it’s very difficult to understand trauma understand until you’ve been through it. Yes, you’re so right it is so difficult to understand trauma unless you’ve been through it. It such a paralyzing fear. I remember once something happened at work and I was like a zombie for weeks. It all worked out and ended up being nothing but it was so horrible while it what going on. Yes, and even being in the same place with a person who might have been involved can bring it all back. I’m glad we’re “conscious” so we can try to deal with things like this before they snowball out of control. I really loved your list of habits that foster your intuition. I think they are all very good and I enjoyed the thought of #’s 3 and 4. Plus, most people wouldn’t even think of #4, so that is a great idea~! I’m so glad you enjoyed this post. I forgot what #3 was now? But, I do remember the last one #4. I’d been thinking of that after the conversation with my friend. I realized going back over things could reveal where we still had unresolved feelings. You’re welcome for the review. You deserved it for writing such a wonderful book! I loved your book. I read some of it by flashlight over the weekend when we lost power do to the freak snowstorm we had! Hey there Angela, I really enjoyed this article. I had to go through a similar situation where the officer claimed that I ran a school bus stop sign. I actually got past it before the stop sign came out, but there was a car behind me that literally did run it. So he pulled us both over. As it turned out, I missed my court date and so just had to pay some fines. It wasn’t such a big deal, but it was pretty upsetting. I love what you mentioned here about meditation by the way. That one alone has helped me so much. I don’t like dealing with police after my accident. I don’t trust them anymore – I guess there’s a lesson in there somewhere too. I was shocked when they lied and an entire department came down with the “blue flu.” It really changed my perception of law enforcement. Meditation is big on my list. I used to be an instructor way back in the day and I loved it more than anything! It’s always great to see you here Fred! “Anytime an emotional issue surfaces that paralyzes us with fear, it means we have not mastered the lesson in that situation.” So, so true. I had a teacher in high school who would say “snake bites twice or more then dies” what he meant was the fear won’t go away until we ‘kill’ it by moving past our own limitation. Things I resist often appear, and they continue to appear until I no longer fear them/resist them – now this makes me very grouchy when the fear comes back, it’s like ‘really’?!!!?? Not gone yet? I love that saying from your teacher. Awesome. Yes, so true. The things we fear will keep showing up in our lives to mirror back to us that we have not yet mastered them. It does make me grouchy too! When will I learn I can never eat just one piece of Halloween candy! LOL! I loved that wonderful interview on you did on Evolving Beings! You are so wise — really! I love that you share all these great suggestions. YOu had me at the first sentence; I can’t count how many times that’s happened to me, where I think I’ve really processed something and then awhile later there it is again. I do think some of it is that we (or I should say “I”) sometimes process in layers. Or maybe I work through one aspect of a situation but there are other aspects still lurking. Like you say, it’s all about shining the light of consciousness on them … and doing the practices you mention so that when we need it the most, our intuition (or inner knowing) is there for us to use. I’m so glad you found this post worthwhile. I know we’ll have to go through these things on an off again in our lives – I highly doubt I’ve processes all the emotional incidents in my life! You’re so welcome for the link! You are my personal astrologer! Interesting that something just recently resurfaced for me, too. An old hurt I thought I had resolved and released was triggered again. I had not thought of approaching it in the way you describe, but I am definitely going to do that today. I can see how this would be extremely helpful. So thanks!! I think these ideas really aply to emotions like guilt and shame. These sort feelings can be prompted again ans again making things feel unmanageable. We must learn to process through these with our heart and soul. I have gotten stuck many times by trying to think through my feelings. It wasn’t until I really let myself feel the emotions that I worked through them. This means using our heart and our head. Yes guilt and shame are huge and they certainly do linger for a long time too. You’re so right we must work through the emotions with our heart and soul. I think it’s true what they say: What doesn’t kill you makes you stronger! Thank you so much for visiting and commenting Joe. Yup, I have been there more than once and I know exactly what you mean. The blessing of this past year or so has been that I have been able to face up to and if not release completely, at least become aware of all those things that are/were eating at me that still need to be changed. I believe it is sort of an emotional place that you come to where you are calm enough to see it all clearly. Once we can accept responsibility for our part in all situations, things change. It also brings us to a place where we can “fear little” (still working on “fear nothing”). Ha – fear is at the root of it all. I was thinking in jest earlier this week that I should just change my site to Overcome Your Fears Already, because frankly it’s looking like that is the root of all of it. I love your openness! So true, fear is at the root of it all, as you say. I still fear things too. I don’t know whether we humans will ever be 100 percent fear-free. I’m happy to settle for 90 percent. Compared to the way I was raised – I’m living a miraculous life at 90 percent fear-free. I’m glad things have gotten a bit less stressful for you this year. Hopefully 2012 will be a good one or at least better. I love it! Overcome your fears already! I certainly know what it feels like to struggle with an emotional issue. Couldn’t eat, couldn’t sleep, couldn’t stop crying and barely able to function, I have been through all this before and I will probably have to go through it a few more times before my time here on Earth is up. As you rightly point out, there is a life lesson in every significant event we face. Unless we learn this lesson well, it is likely that we might have remedial classes in the future whether we like it or not. I agree fully. If we are paralyzed with fear by something, it means we have not mastered the lesson for that particular situation. When I have mastered something, that same situation no longer bothers me because I already have greater capacity and experience to manage it. 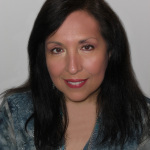 You have put together 5 great points on heading off emotional trauma by fostering our intuition. I think learning to meditate and quiet your mind is important. By doing this daily, we discipline our mind so that it will be easier to return to our calm centre in the midst of crisis and to be more alert to pre-empting possible disasters by sensing them early. It is also wise and prudent to make a list of the 5 most upsetting things in our lives. By reflecting on them to see the impact they still have on us, we can identify areas of weakness and fear that might cause us problems later. The next step would be to maange these areas early. Apart from all this, I usually divine regularly to keep a lookout for potential problems in my future. Being aware of a crisis beforehand gives me the flexibility and the time needed to pre-empt it and act early thus avoiding emotional trauma. I do not manage to head off all the traumas that come my way, but I am rarely blindsided thanks to my radar. Only the most difficult and troubling issues can floor me, but due to my awareness of the bigger picture and practice, I can bounce back much faster than I used to. I’m so happy you found this post so helpful. I love what you had to say here:there is a life lesson in every significant event we face. Unless we learn this lesson well, it is likely that we might have remedial classes in the future whether we like it or not. Excellent! And this: When I have mastered something, that same situation no longer bothers me because I already have greater capacity and experience to manage it. It will be nice to fully heal from an emotional issue all in one-go. But as I have also found out, healing works in layers. The often quoted metaphor is peeling off layers from an onion. Your suggestion on noticing whether we experiences “flinches” is an excellent one. Tuning into our bodily reactions can certainly offer plenty of clues. Great list of tips!! Thank you. I’m glad you found this post useful. Taking notice of our body’s reactions is a good way to notice what’s going on with us, isn’t it? It’s taken me years to be able to speak about the car accident. I don’t flinch any more. Angela, this is excellent advice. I agree completely that journaling and meditating are helpful. I think asking someone very close to us what our Achilles Heel is is especially important too, and something that not a whole lot of people do. I like to “check in” with my best friend (I’ve known her for 13 1/2 years) from time to time and get her feedback on how my life seems from her perspective and what I could improve upon. Sometimes I don’t like to hear what she has to say (ouch!) but it’s always constructive feedback for me. I’m so glad you found the post worthwhile. Asking a friend for feedback isn’t easy but it can be an eye opener! I’m glad you have a friend you can do that with. Although still “learning my Intuition”, I have found some success in clearing my mind of ‘downer thoughts’…..I simply instruct my mind to shut them down. I have a few tough realities to face right now that may be healed in time but require direct action now. We’re all still learning our intuition David, even me. There’s always something new to learn with this topic. I’m so glad to hear you’ve found success of clearing your mind of downer thoughts. That’s a big step. I will you well in what you’re going through though. I’m going through a lot of emotional release right now. Sometimes I wish someone would just come and hug me and say everything’s going to be fine! I think that fear can be transmuted to strength if you dare to let it. I’ve tried journaling in the past, and I have learned a lot. It’s very easy to notice how much our thoughts are really patterns, repeating and repeating. I’m so sorry to hear that you’re going through a rough patch. I am glad you’re releasing the emotions though. Our thoughts can take over our minds if we let them. Time to show them who’s boss, right? Yes, it has been sort of a ‘volcano eruption’ with a lot of insanity and.. well, pain. However, it’s something that will heal in time. Time’s my friend, not my enemy. Thank you for the hug! I’m so sorry to hear that you are going through such upheaval in your life. We’ve all been there at one time or another but, I know it’s hard to go through just the same. Time is definitely on your side. You’ll pull through and be stronger and wiser for having gone through all that you did.